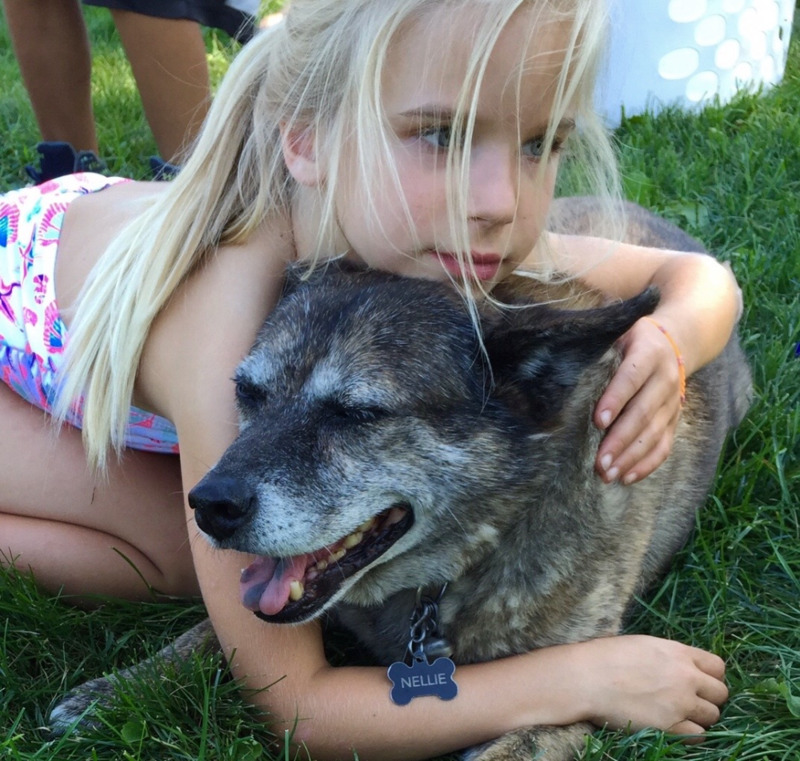 Delilah is a sweet six year old mix. As a tiny puppy, she was found wandering around an abandoned rodeo grounds in Florida. She was all alone and starving to death. I adopted her days after she was found. Because of her trauma during puppyhood, she is scared of lots of things. She has arthritis and gets acupuncture weekly. She barks a lot, especially at cars that have dogs in them. Her favorite thing in the whole world is getting hugs from campers! Cricket is about 4. She came from a shelter in North Carolina along with her 5 puppies. The puppies found homes and I found Cricket. She is a love bug. She is playful and loves life!! She has lived on the farm for 3 years and loves to chase things, including deer. She is the reason that you need to stop and open the gate. Unconditional love is as close as your nearest shelter.